While freezing temperatures haven’t become the norm as of yet, the wool coats are still patiently waiting to be worn. 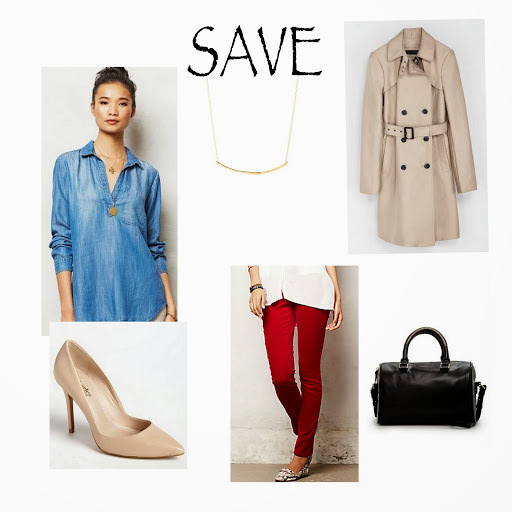 In the meantime, pull out your favorite classic trench and wear it with a statement making pair of pants and solid top. Finished with pointed to pumps to elongate your leg and you can take either of these looks from day to evening. I recognized that Burberry trench the second I saw it! I’ve been thinking of splurging, but I don’t think that will happen any time soon 😉 I love the Zara alternative.